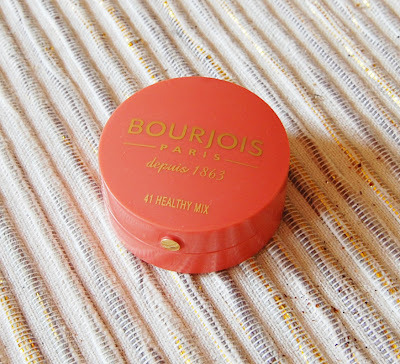 I've always been a fan of Bourjois' nail polishes and glosses, but have never tried one of their iconic 'Little round pot' blushes. 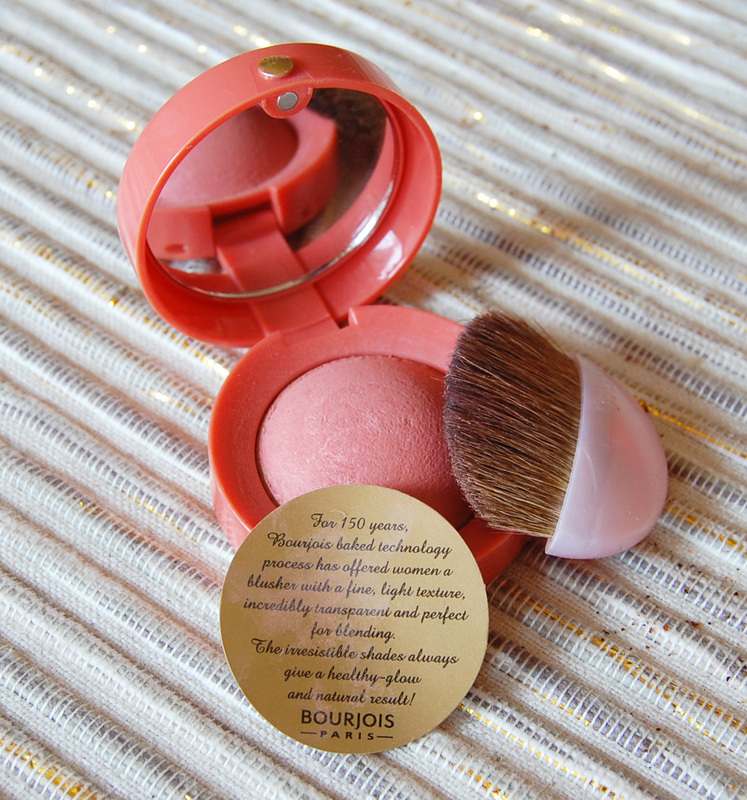 It wasn't until I found out that their baked blushes have been around for over 150 years, I knew I had to finally take the plunge .. it must be good, surely?! Healthy Mix is described as a universal shade, a sun-kissed coral that adds a bit of warmth to a natural look. The adorable compact contains not only the product, but a small curved brush, a brief history of the blush and a mirror for touch-ups. Beautifully compact and scented with rose, these little pots are elegant and efficient, perfect for popping in your clutch on a night out. 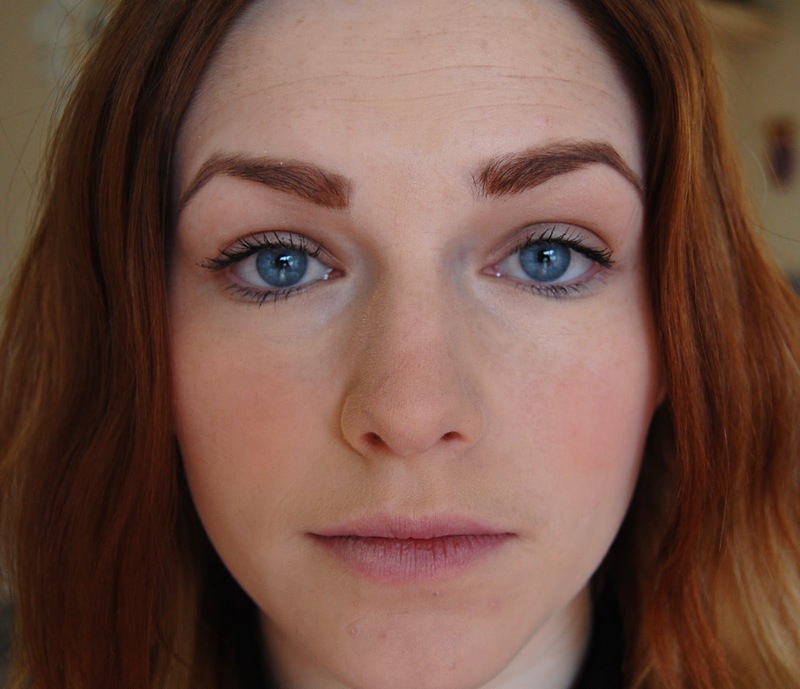 As you can see, just two sweeps of product on either cheek is just enough to create an easily-buildable, subtle glow. The curved brush is perfect for sweeping over the apples of your cheeks, but I found that it wasn't too great at blended and I had to reach for another brush to finish the job off. The product is heavily pigmented, so it can easily make you look like a china doll so start off small and build up! I'm absolutely in love with this shade and feel its perfect for warming up my pale complexion as summer approaches (hopefully!). I completely agree with it being a universal shade, as it's very flattering and adaptable to every skin tone. There's obviously not a lot of product in the pan, but as its highly pigmented I will be hesitant in how much I use so little will go a long way. You can purchase Natural Mix along with 19 other irresistible shades at your local Boots or Superdrug for £7.49.